Also known as crown exposure, crown lengthening is a common surgical procedure where your dentist removes gum tissue, bone, or both from around a specific tooth so more of the tooth is exposed. This procedure is usually recommended for one of two reasons: restorative or cosmetic. With regard to esthetics, crown lengthening helps to improve a ‘gummy’ smile so more of your sparkly, white teeth are visible when you smile. Restorative crown lengthening is usually required when a tooth requires a new crown or other restoration, but the edge if the tooth is not accessible because it is deep below the gum tissue. 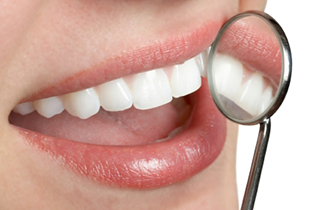 So, the procedure helps to make the tooth more visible for proper treatment or restoration. When decay occurs on the tooth root or a tooth breaks off at the gum line, crown lengthening can be used to make restoration of that tooth possible. Bridges and/or crowns cannot be bonded when the edge of the crown is so close to the bone, so this is yet another reason why crown lengthening may be needed. In preparation for the procedure, the dentist will review your medical history, take X-rays, and set a date for your surgery. 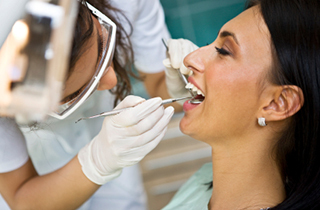 It may also be necessary to schedule a professional tooth cleaning before the surgery. During the procedure, the gum and bone tissue around the concerned area are cut, reshaped, and stitched so more of the natural tooth is exposed. For cosmetic purposes, you can choose to have one tooth treated so you have a uniform appearance at the gum line, or get the entire gum line treated to create an even and natural smile. If the procedure is intended to restore a tooth that is fractured or decayed near the bone, then the section around the bone should be treated. Without crown lengthening, the only other option would be removal of the concerned tooth. So, the surgery provides enough tooth structure to ensure sufficient support for the restoration. The procedure usually involves more than one tooth, and takes about one hour. It can take longer if both soft and bone tissues are removed. It is performed under local anesthesia. Upon completion, sutures and protective bandage are placed to secure the new gum line. The sutures are removed in 1-2 weeks during the primary checkup after your surgery to assess the healing. The area should heal completely in about three months after surgery. When can I start eating normal foods again? It is recommended that you maintain a soft or liquid diet for at least one week after surgery. If you want to learn more about the crown lengthening procedure or would like to schedule an appointment with our dentist, then please call our office at 661-725-9105 and one of our receptionists will assist you. We may also be conveniently contacted online through our online contact form.